Don't Miss This FREE Workshop!! The Asian longhorned beetle (ALB) is potentially the most devastating non-native pest to have ever arrived in North America. The beetle kills trees belonging to 12 genera and, if it escapes eradication, ALB would cause a catastrophic loss of trees. Early detection is essential to eradication success. 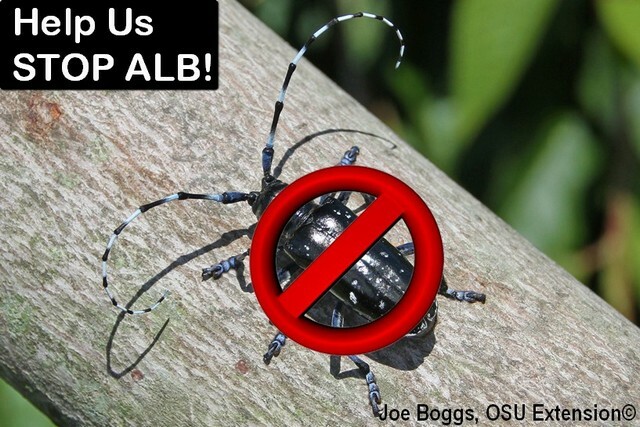 Learn how you can help stop ALB! Time: 6:00 pm. – 8:30 pm. - Overview of ALB including the biology, behavior, identification features, and impacts. - Overview of the ALB eradication program in Ohio including updates on the current infestation status. - Regulatory requirements including reporting suspected infestations, regulated articles, and tree work in the regulated area (e.g. quarantine, handling of infested material, etc. ).